At Rapture Sound Studio you’ll find that we truly care about the experience musicians have when they come play in our studios. We created this business in order to provide quality spaces for talented musicians to freely explore their sound. We offer a variety of rehearsal rooms for you to choose from. Each room is equipped with the basics of speakers and a drum kit. Other equipment such as higher end speaker systems, fuller drum kits, microphones, and mic stands, are found within the different studios we offer. Studio A is equipped with 2 15" electro-voice live speakers and paladin maple drums. 2 15" Electro-voice Live x Speakers. Studio B is great for jamming out with our 2500 power amplifiers and 15" JBL speakers. 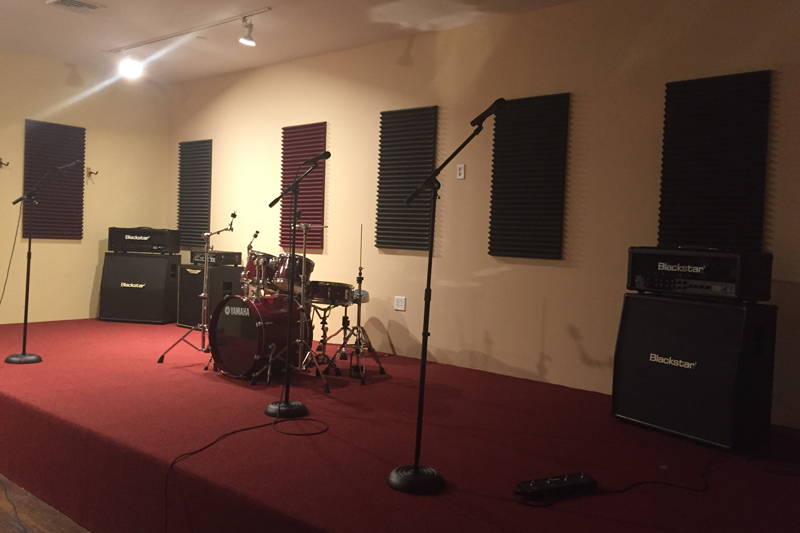 This studio is perfect for praticing before a gig or just jamming out with a few friends. Studio D is our only room with 2 top of the line fender super-sonic speaker cabinets. Our brand new showcase room is the perfect rehearsal space to bring potential clients. This room is equipped with Yamaha drums and we provide a large selection of amps. We can add or remove any equiptment at your request. In addition to our many studios we’ve designed for optimizing the performance experience, we also have a lounge available to musicians. 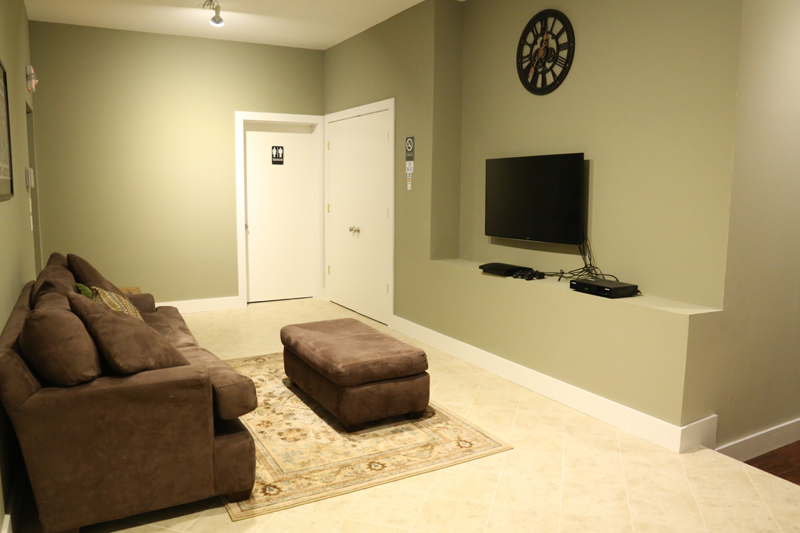 We encourage you to use this space to hang out between sessions, relaxing on our comfortable couch and kicking back with some video games or Netflix. The lounge also provides a practical use to our fellow musicians by creating a space for you to network with one another. Our lounge is a place for musicians to chill and network with eachother. Our lounge includes a 55" LED smart T.V. with netflix and video games.